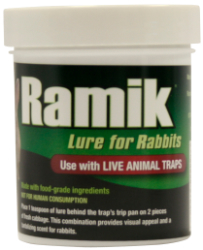 Lure animals straight into the live trap with this bait. Individually designed for hard to trap pest. Made with food grade ingredients. Available for Rabbit, Raccoon, and Squirrel.